Vacation rental duplex. 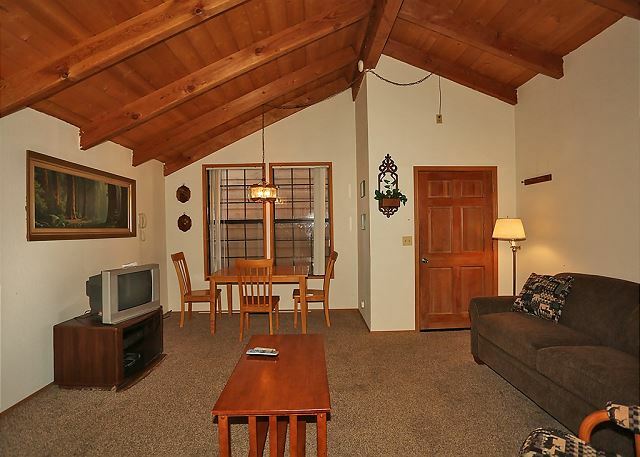 Sleeps 12, 3 bedrooms, 2.5 bathrooms. Dogs allowed. 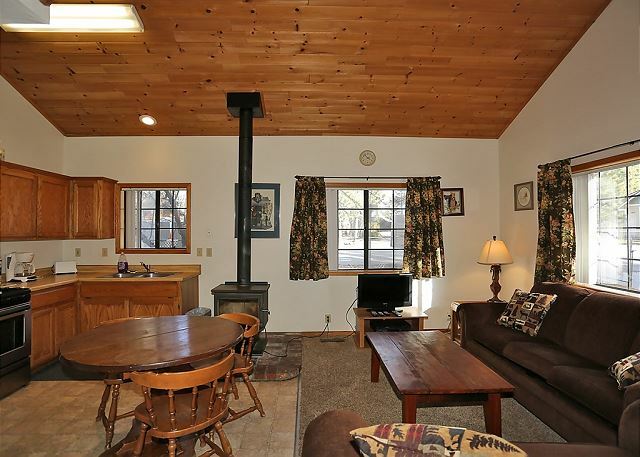 Lagunita Lakefront is a great property with two separate homes, with one home having 2 bedrooms and 1.5 baths with a wood burning fireplace/stove, and TV. 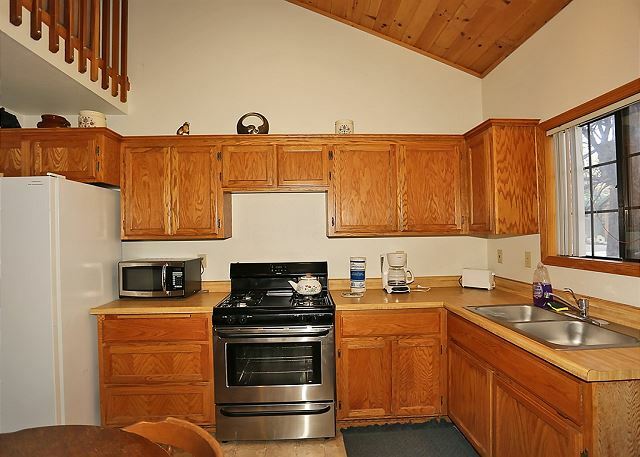 The other home is a 1 bedroom and 1 bath with kitchen, living room, wood burning stove and TV. 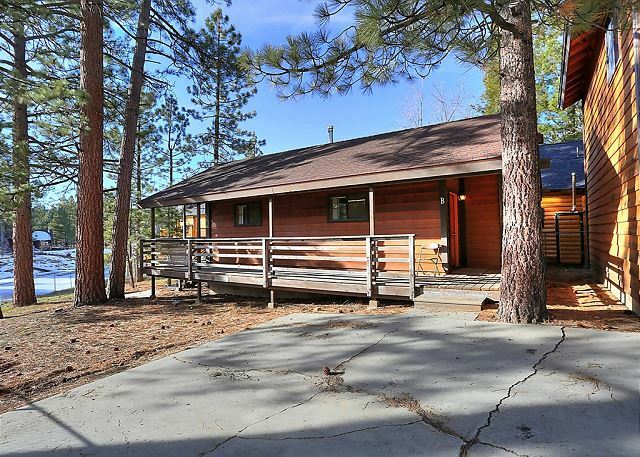 This property is great for groups or families who want to enjoy Big Bear lake and have a short walk to the lake and just minutes to the Big Bear Lake Village. 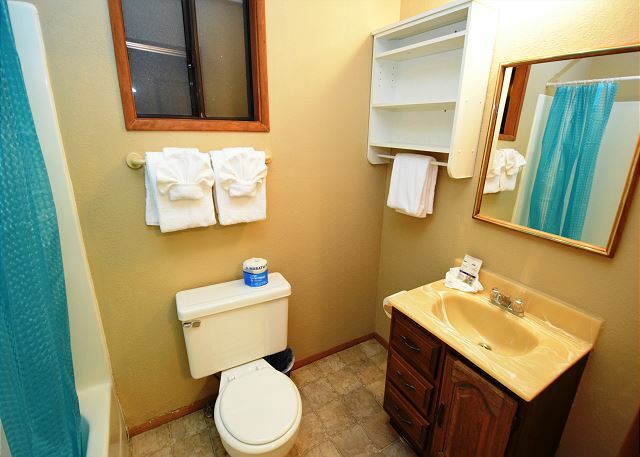 This rental property is perfect. It's great for youth groups. 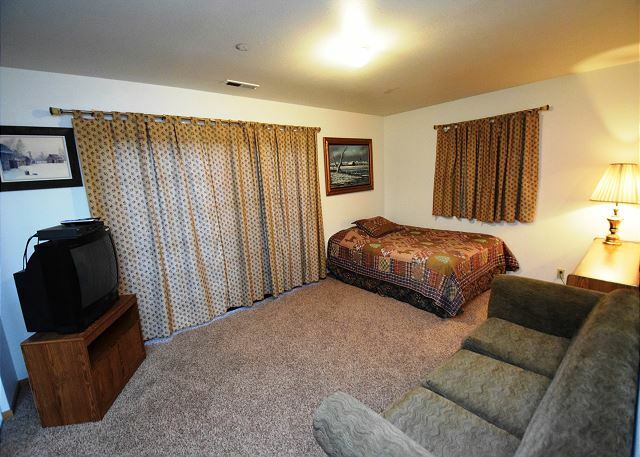 The property is spacious and the beds were abundant. Property is slightly dirty with spider webs but it's understandable. 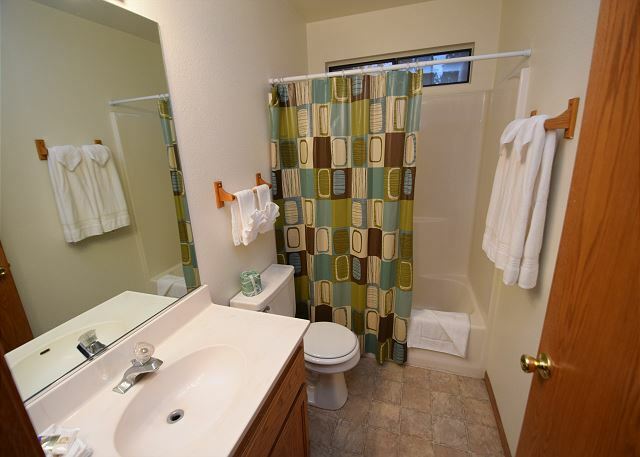 Location super close to The Village and only about 7 minutes from grocery store. Good cabin thank you for letting us stay. Property Management is really good at keeping in touch, appreciate that! I would rate this cabin at a 3 star and I feel that is very fair. The space was great, good amount of room with the two units for about 8 people. 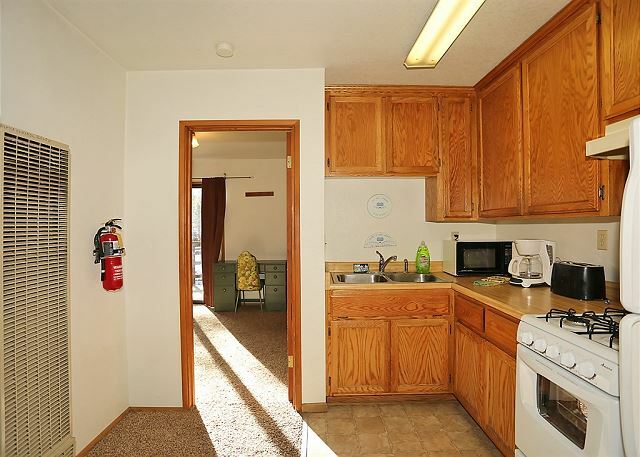 The location is very good and the full enclosed yard is perfect to bring pets. Very safe. The beds were fine overall, but bringing your own bedding is a must. (which they do tell you to do in the information) Also the sofa beds are not very comfortable, but plenty of space to bring airbeds and such. Plenty of towels and those were all clean. The only other thing to note is that there were a lot of spider webs in and around the both units- especially the back one. I realize this is the mountains- but it did seem that the amount of webs and spiders we found indicated this did not have any attention. Needless to say we did not sit out on the back deck area and became aware of checking behind furniture. Again, some good things and a great crash type pad for a good size group. The stay was okay. 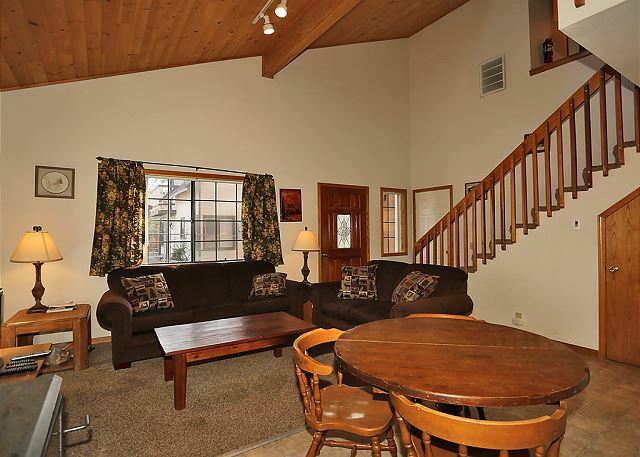 The place was spacious and accommodated my family. The advertising was a bit deceiving however. The advertisement made it seem as if there would be a Great Lake view but the lake has gotten pretty dried up from this property. Other than that it was okay. Furniture was kinda old. Upstairs couch was ripped and had several stains. The property was very clean. It was very o find. And property managers were responsive. Although, I think it should not be advertised as lake front... or at least should have mentioned that because of the drought, there is literally no water. My family and I were able to actually walk through what used to be the lake. You had to drive to get to the lake. But overall, the place was good. Good for 2 or 3 small families.